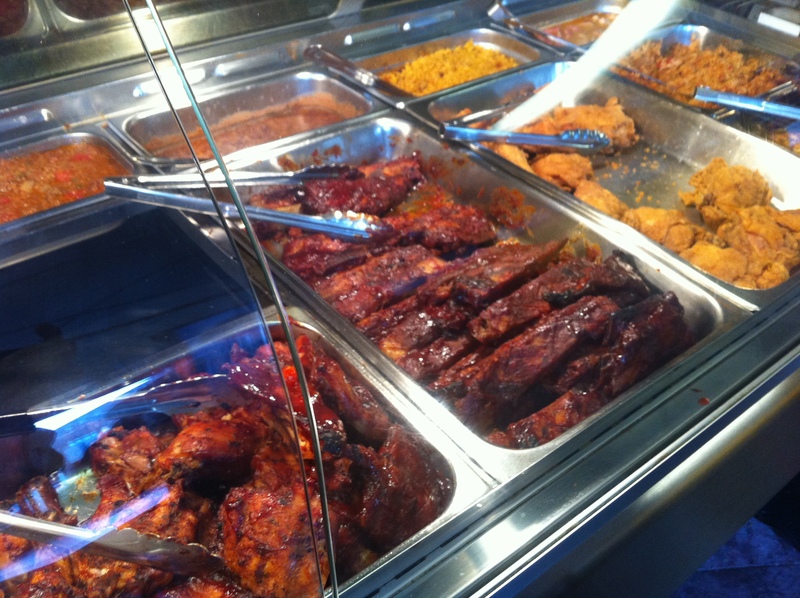 Jeff’s Cuisine Offers Surprisingly Good Barbecue In… Connecticut? Is that barbecue joint in there? In the middle of South Norwalk, among the pizza places and restaurants, lurks a surprise. 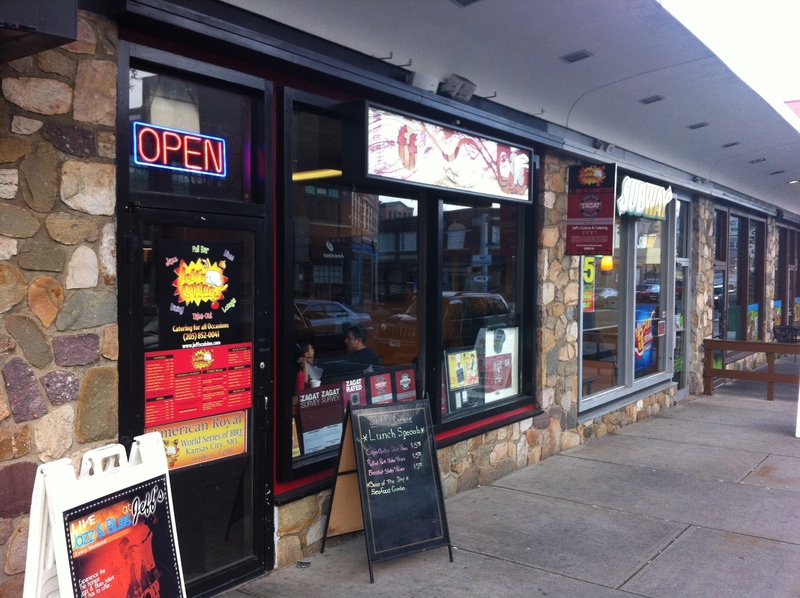 How could you possibly guess, according to Zagat, that behind this unremarkable storefront lurks the best place to find barbecue in Connecticut? Jeff’s Cuisine: Imagine my surprise at stumbling upon it. Not only is it delicious, but it is well better than almost all barbecue I’ve had in Manhattan. Granted, there’s a dearth of good ‘cue in town, so the bar is low, but I think this place eats Dinosaur’s lunch. I admit, I was skeptical because of the presentation. Trays? Really? The layout of the place initially had me worried. Trays of food kept behind glass. It seemed likely it would all be reheated, tepid and luke warm. I feared microwaved ‘cue. My fears, however, were immaterial once we actually got to tasting it. 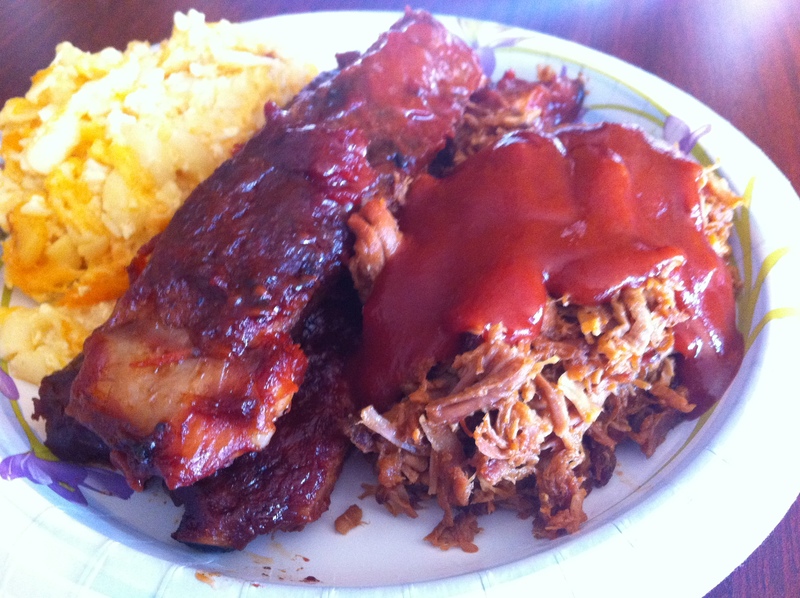 We tried the mac, pulled pork and ribs. The mac was ok, but not overwhelmingly special. It wasn’t especially rich or cheesy, flavor-wise, but it was pleasant. Things picked up considerably, however, with the first bite of the pulled pork. It was shredded nicely, tender and delicious. As you can see there was a considerable volume of sauce on it, which also had me worried. I don’t usually go for a sauce, let alone a lot of it. Typically I find it masks the flavor of the meat. Here, though, it complemented it well. It was not especially sweet and lent some additional moisture and faint salty, spicy kick. The ribs were the star. They were fall off the bone tender and delicious. All in all, lunch was a big win in the middle of nowhere. I should also mention Chef Jeff Esaw himself, which ordinarily I wouldn’t. He is a gregarious, affable man who’s likely to give you a pound when you walk in the door. The place has been in business 10 years and Chef Jeff will gladly regale you with tales of his remarkable journey in life that ultimately brought him to cooking. He goes to great lengths to make you feel at home. I know where I’m eating next time I’m up this way.